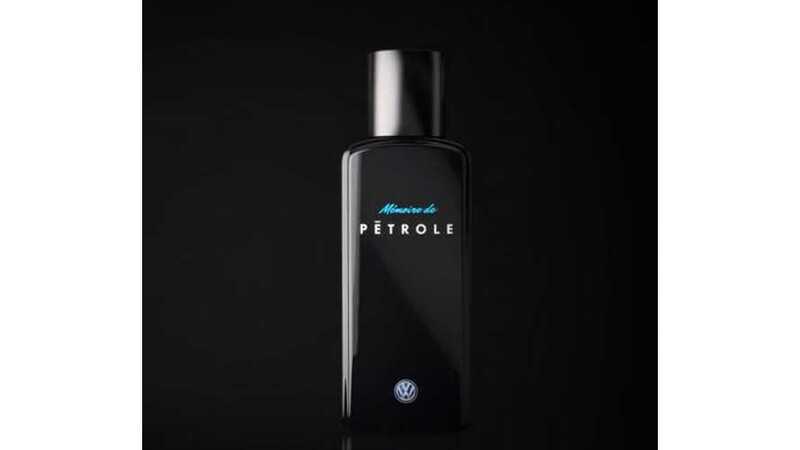 "Volkswagen presents: Mémoire de Pétrole – the fragrance. Inspired by the scent of fuel, it will set your memories in motion. Now saying farewell to the gas station becomes even more special."